Here’s an inescapable fact — the content you produce can make or break your brand. That’s the power of content marketing. If you can provide your audience with relevant, high-quality information, you’re on your way to earning their trust. This, in turn, will encourage them to purchase from you or recommend your site to people they know. The only problem is, you’re not the only content provider in your niche. For every text-based post you publish, there are probably hundreds of other articles out there that tackle the exact same thing — and that’s being conservative! Suppose you want to write a guide to create WordPress blogs. With the search phrase “how to build a WordPress blog,” Google says there are about 213,000,000 results. Now, that’s a lot of content noise. So much, in fact, that attempting to slice through it is highly unlikely to yield profitable results. But what if I make a tiny adjustment in our search term — perhaps with the keyword “webinar” somewhere in there? According to Google, the keyword “build a WordPress blog webinar” returns a total of only 7,300,000 results. That’s a huge dive from the over 200 million results we got earlier. Sure, you can say that inserting any other keyword could’ve also resulted in fewer results. But at the end of the day, our little experiment only proved how a little differentiation in your content strategy can go a long way in building your online visibility. For example, producing webinars rather than churning out written articles is a great way to set yourself apart from your competitors. It’s the closest thing you can get to a live speaking event where you get to showcase your expertise for several minutes up to an hour tops — in front of a large, engaged crowd. Upon discovering you for the first time, leads only have one question on their mind: why should I trust this brand? A webinar (literally) does the talking for you and proves you’re not just recycling ideas from other sources. Attending a webinar is a strong indication that a user is in it for the money. This means he or she is more likely to convert into a subscriber, follower, or paying customer as long as you lead them down the right conversion path. For young brands, finding influencers who can help augment your online reach can be a daunting task. When it comes to getting their attention, being a guest at a webinar is a far more inviting proposition than, say, contributing to a roundup post. A webinar is also one of the content types you could easily monetize either by charging a subscription fee or a one-time payment. You can also utilize webinars as promotion channels for your latest products or brand offerings. The question is, how do you transition from a run of the mill brand to an influential webinar host? In this post, I’ll walk you through the entire process of building a successful webinar campaign. We have a lot of ground to cover, so bookmark this page, grab yourself a beverage, and relax because you’re going to be here for a while. You don’t need years of marketing experience to know that different users have different content needs. That’s why, before you get to the nitty-gritty of building webinars, you need to identify which particular audience segment you want to focus on. Your existing email subscribers, for example, may consist mostly of leads who are already familiar with your brand but are yet to make a purchase. For them, it won’t make sense to sit through a webinar that discusses basic concepts or introduces the story behind your company. To help you mold a webinar strategy tailored to your target audience, a good strategy is to define a buyer persona that outlines their background and key characteristics. 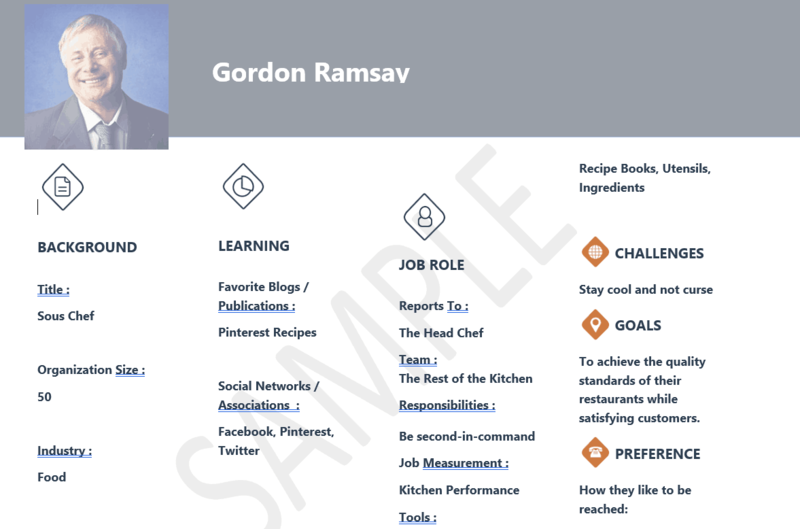 MakeMyPersona from HubSpot is a handy tool that can help you create a buyer persona within minutes. All you need to do is to supply the required information such as your mock customer’s name, required resources, responsibilities, and so on. Are you targeting visitors who are new to your website? Did they perform interactions that express an interest in your brand? Have they liked, commented on, or shared product reviews, comparisons, and content from your site? Have they tried a trial or demo version of your product? Are they shopping cart abandoners? Have they made a purchase from you before? The more detailed and accurate your buyer personas are, the easier it is to determine the challenges they contend with in accomplishing their objectives. This will then allow you to come up with the topics you need to cover in your webinar — thus, taking us to the next step. An updated buyer persona should help you unearth a couple of useful webinar topic ideas right then and there. For example, do you target novice bloggers who want to get their hands dirty in the world of email marketing? 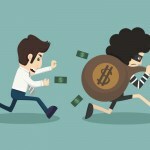 Perhaps a webinar on the basics of lead generation could do the trick. Are they seasoned marketers with years of experience under their belt? How about something more advanced, like remarketing or link reclamation for SEO? As you look at your initial haul, you should notice that these are topics that you already know. Some of them may even be already touched or explored in your existing post, which is why you should also consider looking at your most popular content for a quick boost to your webinar idea bank. 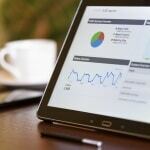 Google Analytics is, without a doubt, the most dependable tool for this goal. Once you have properly added your account and web property to the platform, expand the “Behavior” tab, select “Site Content,” and click “All Pages” to view a list of your top-performing content. Of course, this doesn’t mean you should just recycle those topics by discussing ideas that are already there. What you need to do is expand them by adding more actionable tips and adding more substance with more examples or real-life use cases. Another way to scrape for ideas is to perform online content research, which can be done through a Q&A website like Quora. It lets you tap into the community for questions that you can answer and refine into a comprehensive webinar topic. To use Quora, start with your buyer persona to generate keywords that you can use. Let’s say your target audience is a bunch of new web developers and one of their goals is to learn responsive design. 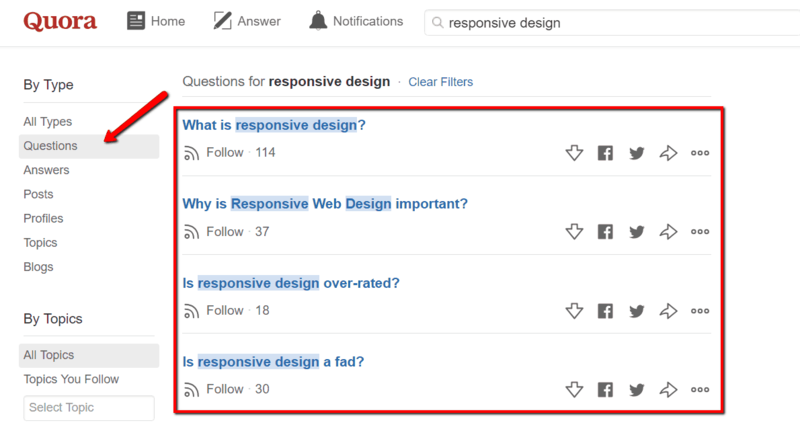 Typing “responsive design” into the Quora search bar will provide you with a couple of ideas right off the bat. You can also dig deeper by selecting the “Search” option and then navigating to the “Questions” tab for a long list of questions you can use as webinar topics. Will you be able to sustain a reasonably long discussion with this topic? If you think it can be covered in less than 10 minutes, your webinar will be too short. 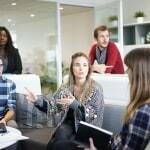 Consider broadening the topic’s scope or adding related talking points that you can elaborate. What are the concrete takeaways you can offer your webinar attendees? An effective webinar has tangible benefits that help the audience learn or do something meaningful. These make the webinar experience more valuable and impactful — not to mention beneficial to your brand as well. 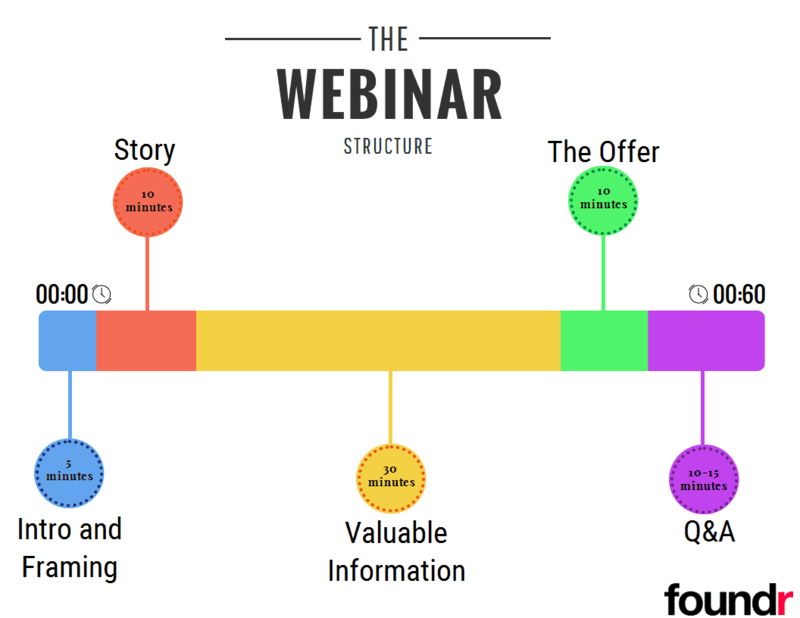 Where will attendees be in your conversion funnel after your webinar? Ideally, you need to cover topics that are closely related to your products or services. Ths makes sure your webinar pushes leads further into your conversion funnel and closer to becoming paying customers. After picking the topic for your webinar, the next step is to plan how you’ll present information in a way that it maximizes and retains your audience’s engagement. It’s really not too different from the process of structuring a long-form blog post. You just need to chunk down the entire webinar into parts and decide how long you’ll spend discussing each of them. The first 5 minutes of a webinar is best spent setting the expectations of your audience. It’s also the part where you grab the audience’s attention and set the tone for the rest of the webinar. A common, straightforward approach is to have a rundown of what the webinar is about. Just try to be brief and avoid dragging this section on for too long. You may also use visual content to cut the time it takes to deliver the value propositions of your webinar. With online tools like Stencil, PicMonkey, and Snappa, you can effortlessly whip up a professional-looking intro screen within minutes. Next up, you should give your audience a short but punchy introduction to your brand. Your main goal is to establish your qualifications as a webinar presenter for the chosen topic. Are you the CEO of a company with years of industry experience? Have you personally applied the lessons and strategies you’re about to share? To help build rapport, refer to yourself as someone who was in the same position as your audience. Make it more relatable by addressing their pain points, talking about your failures, and describing the mindset changes that helped you turn things around. Now that you’ve shared your story, it’s time to get to the good stuff. The bulk of your webinar must be allotted to unpacking and discussing valuable information. At this point, feel free to take your time when explaining concepts, enumerating their benefits, and providing examples. If you need to share actionable content, walk them through every step of the way while also divulging the reasons why certain decisions should be made. The type of webinar you’re creating essentially dictates the method of communication you’ll use. For example, if you want to present a demo of your SaaS company’s online product, then a screen sharing feed should be used for the most part. While a webinar must help attendees accomplish an objective without forcing them to buy anything, that doesn’t mean you shouldn’t offer your product or service by the end. After all, you’re supposed to choose a webinar topic that heightens the need for your product or service. If you truly believe it can make things easier for your audience, then by all means, mention it and tell your audience how they can take advantage. Even if your product or service is already the focal point of your webinar, you can still take around 10 minutes to wrap up its unique selling points. As a reward for attending your webinar, you should also consider offering discounts or freebies to squeeze more conversions from your audience. Once your offer has been dropped, your next priority is to fill all the remaining gaps between the audience and that much-needed purchase decision. Make sure every inch of doubt in their minds is covered by answering any question they might have regarding your webinar. A short Q&A session is also one of the interactive tools that can immediately improve the perceived value of your webinar. Not only will it help you attract more attendees, it’ll also give you an opportunity to directly engage and lead them straight down the path to conversion. Aside from a post-webinar Q&A session, plan other interactions every 10-15 minutes or so to keep your audience from being bored and losing focus. It could be a simple poll, a mini Q&A, an interactive whiteboard activity, or anything your platform may have in its sleeve. 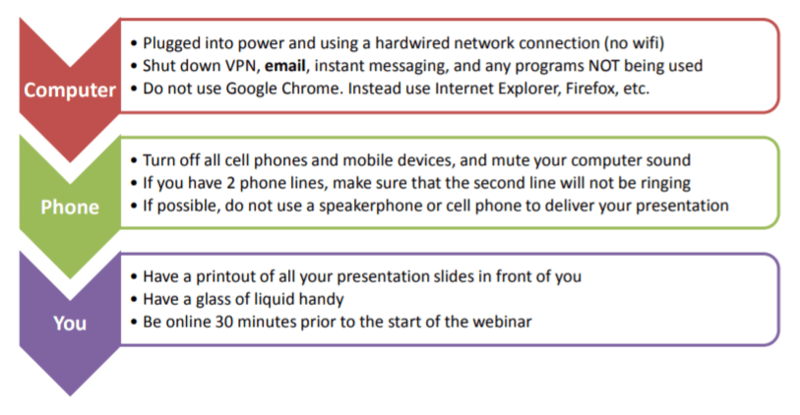 This brings us to the next and probably most crucial step to building a webinar. Make no mistake that a webinar takes a significant amount of work, time, and patience to build. This is especially true if you choose to put together a lineup of tools for every aspect of your webinar — from your email marketing platform to a video streaming tool. Fortunately, you don’t need to start from the ground up when preparing the software side of things. There are now dozens of cloud-based webinar platforms that have everything you need packed in one place. In terms of usability, price, and features, ClickMeeting is definitely one of the top choices out there. It can help you through every phase of your webinar creation efforts — from creating a registration page to viewing statistics that will help you spot improvement opportunities over time. ClickMeeting also has a flexible pricing structure that lets you adjust the cost of running our webinar based on the number of attendees. For example, the entry-level plan starts at $25 for 25 attendees; but if you can chip in $30 more, then you can cater to a total of 100 attendees. All in all, ClickMeeting is a great platform for first-time webinar presenters who are currently not expecting to garner a large audience. Despite the low pricing, rest assured that you won’t miss out on features that can help make your webinar a success. WebinarNinja is one of the most trusted webinar marketing platforms available today. Apart from the smooth and user-friendly experience, it’s also powerful enough to help you schedule an entire webinar in less than a minute — allowing you to plan every detail on a single page. 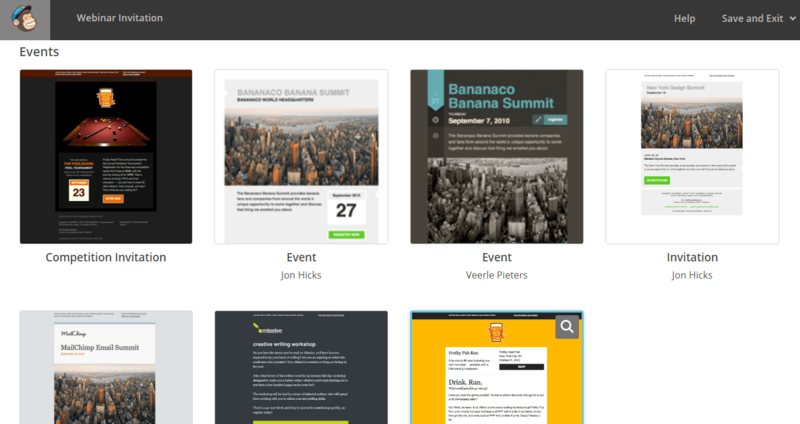 Just like ClickMeeting, WebinarNinja is loaded with tools that can help you in every facet of your webinar campaign. You can design beautiful registration pages from scratch, manage your subscribers, view statistics, and more. WebinarNinja also supports several integrations that can streamline your webinar marketing and management. This includes the payment gateway Stripe along with third-party services like Zapier, ConvertKit, and ActiveCampaign. Lastly, GoToWebinar is somewhere in between ReadyTalk and ClickMeeting in terms of price. 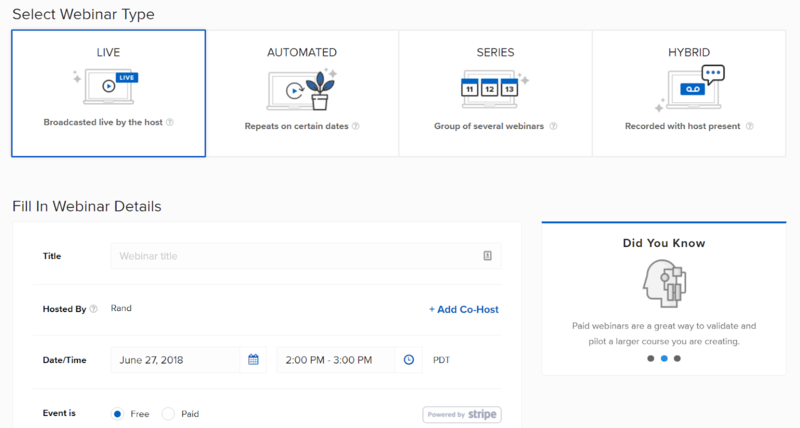 And as expected, it also has a comprehensive set of features that makes it more manageable to build, promote, and run webinars. GoToWebinar’s learning curve and ease of use are comparable to ClickMeeting’s, but their customer service is a tad better — thanks to the 24/7 customer support hotline. Before making a decision, take advantage of the free trial period to see firsthand how each webinar platform works. Doing so is the only way to be sure if a platform fits your brand’s specific needs and preferences. You may think that putting your webinar together in your platform of choice is the most tedious aspect of webinar creation, but it’s actually just the beginning. There’s still much to be done before you go live, like planning your deployment schedule ahead of time. If your buyer persona doesn’t specify the best time to reach your audience, try to do a survey via email that asks them directly. You may also ask them on social media in case you already have an established follower base. Ask your guest speakers, if any, for a list of dates when it’s convenient for them to join your webinar. This might seem like a no-brainer, but if you’re trying to cater to users from different cultures, double-check to see if a specific date coincides with a holiday. In addition to these factors, your readiness as the webinar presenter should also be taken into consideration when deciding on your schedule. Feeling nervous? How about giving yourself one more week to get the hang of speaking? The truth is, webinar attendees would rather wait than sit through a poorly-presented webinar. What you must focus on is being sincere and brave enough to acknowledge your own weaknesses as a presenter. Don’t pressure yourself to remember a script to the letter and focus on the key talking points. Also, get the “feel” of an actual webinar by doing a test run with the right equipment. If possible, have a qualified individual monitor your rehearsal and point out pockets of improvement. Congratulations — you should now be hyped and ready to present your webinar. If you’re getting a sizable amount of traffic on your website, then your first priority is to design a landing page where visitors can sign up for your webinar. There’s no need for a full-length article that to build up the anticipation. As long as you did your research and came up with an eye-catching topic, then your webinar should sell itself. To increase the sense of urgency, display the number of spots left as well as a countdown timer. Use a compelling call to action — see to it that it stands out from the background. If you invited guest speakers, include information about them along with links to their website. If you’ve been relying on your mailing list to obtain information about your audience, sending invitations in the form of a newsletter is a guaranteed way to bolster attendance. An email marketing platform like Aweber or MailChimp can make this process a breeze with the help of newsletter templates. At the same time, you can also automate a “Thank You” email after their registration and the webinar itself — allowing you to make a solid impression on your audience. 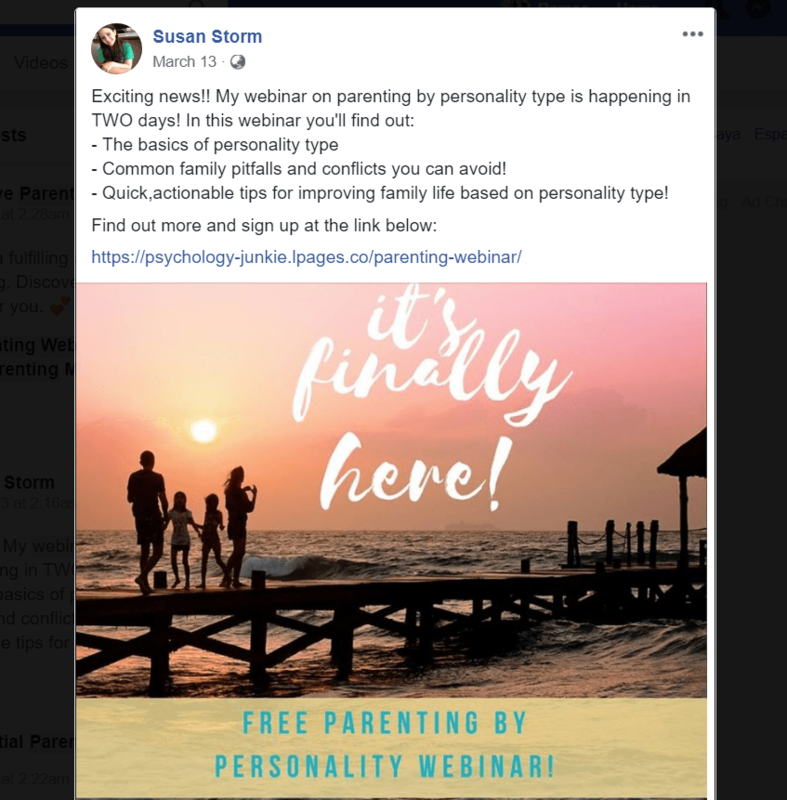 Finally, social media networks like Facebook offer would-be webinar presenters opportunities to reach a broader audience, even if they have neither a steady stream of traffic nor a mailing list. 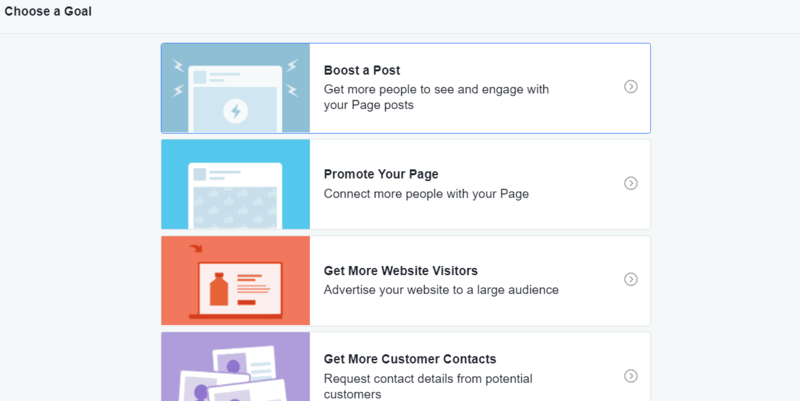 The first approach is to share your webinar landing page across groups, pages, and your own social media profiles. Just write a descriptive caption, provide a link to your webinar landing page, and use a custom image to turn the heads of your target audience. Don’t forget to share your post across multiple social media networks to maximize its reach. 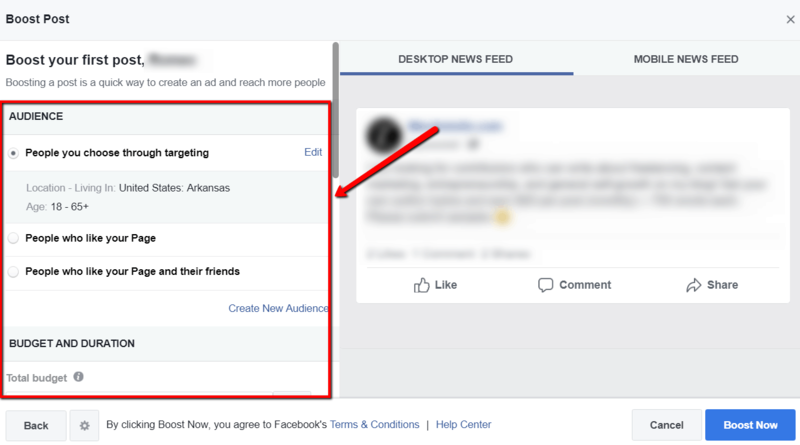 If you’re contemplating a big webinar that has room for over a hundred attendees, a reliable way to hit your quota is to launch a social media ad campaign, which will allow you to connect with users based on their interests and demographics. After picking a goal, it’s only a matter of setting your targeting options and budget for the duration of your promotion. Planning a webinar for the very first time can be a hard-pressing task, but it’s undoubtedly rewarding as long as you see things through. Just remember to take one step at a time — use this guide as your roadmap and you’ll be speaking to a group of satisfied attendees before you know it. Whatever you do, always put your audience first. Your first webinar may not be a guaranteed success, but as long as you’re truly driven by the desire to help, then you’ll surely feel fulfilled as long as someone out there hears your brand’s message. Good luck!